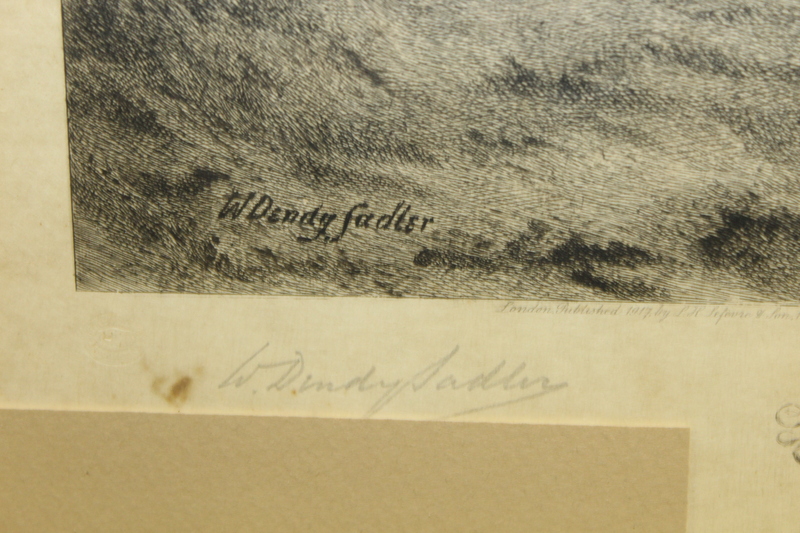 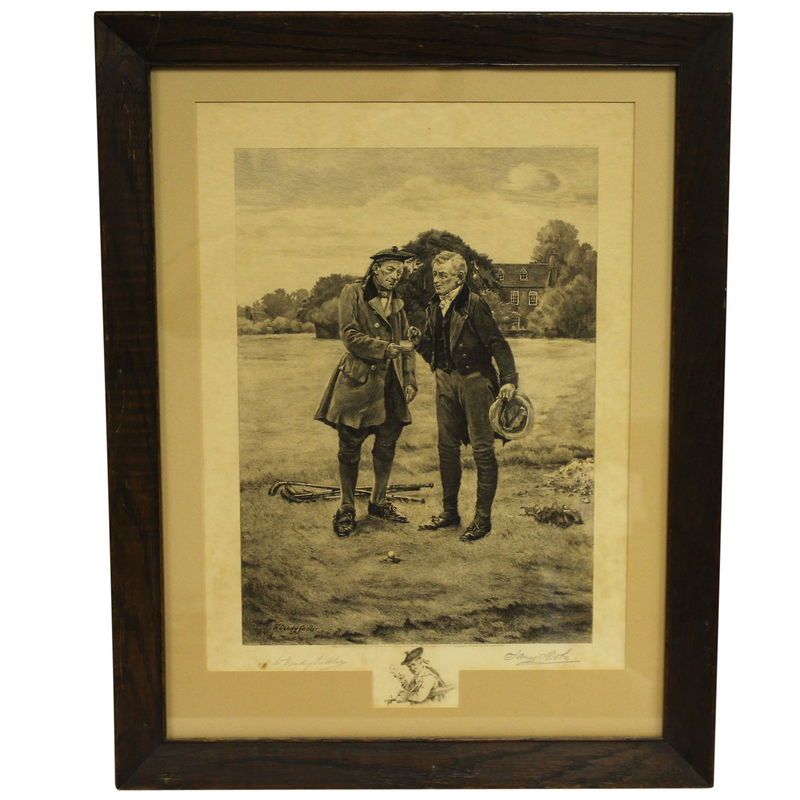 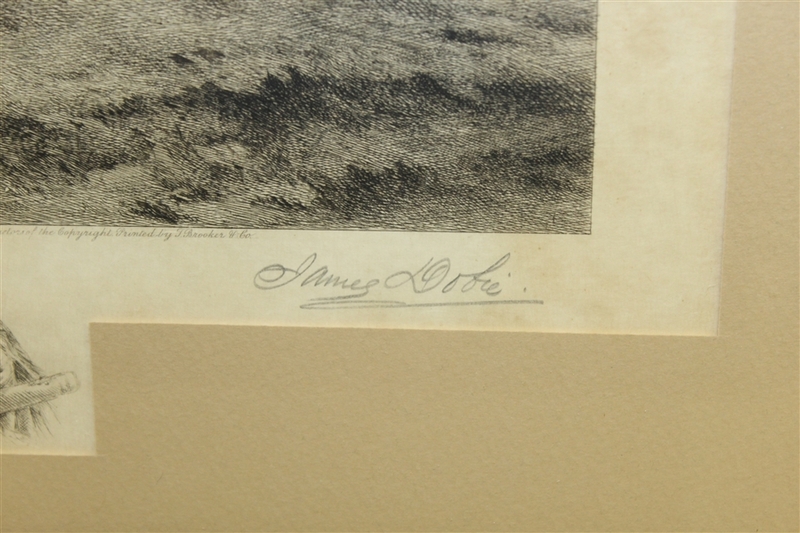 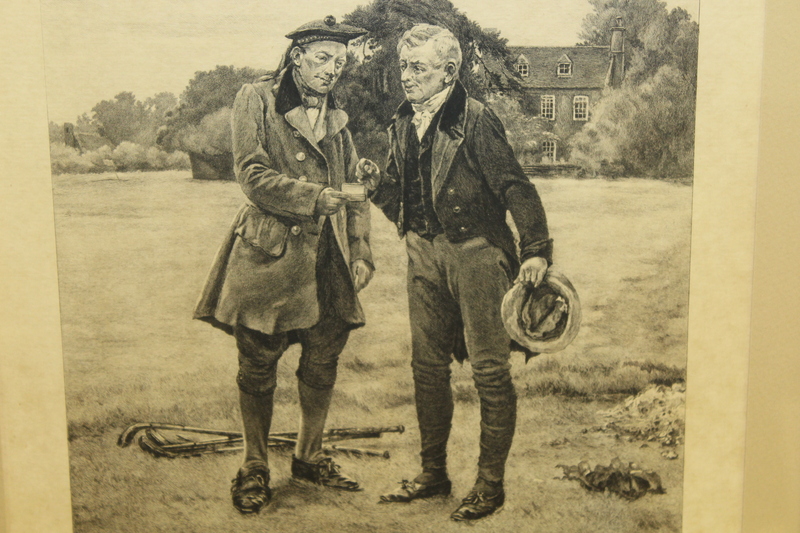 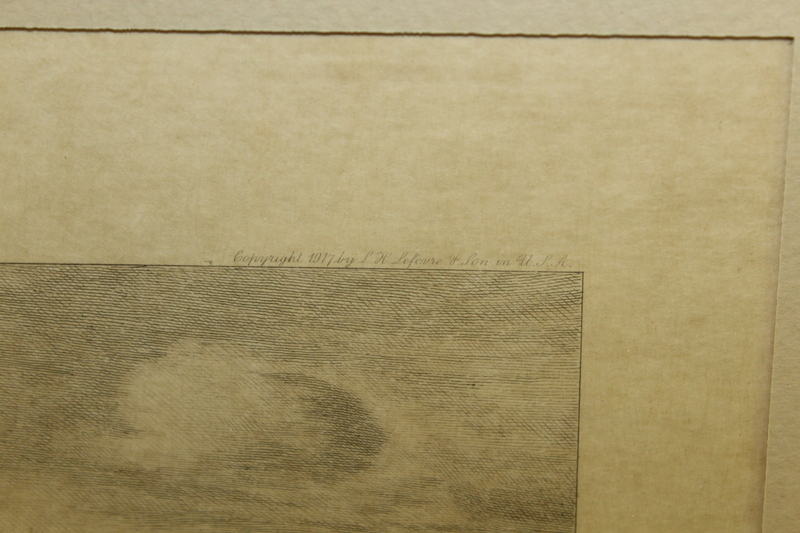 Here we have James Dobie's etching of W. Dendy Sadler's painting "The First Tee." Both Dobie and Sadler have signed this framed piece, only further adding to the desirability. Walter Dendy Sadler was an English painter who drew inspiration from contemporary people and their everyday lives, as shown in his works. 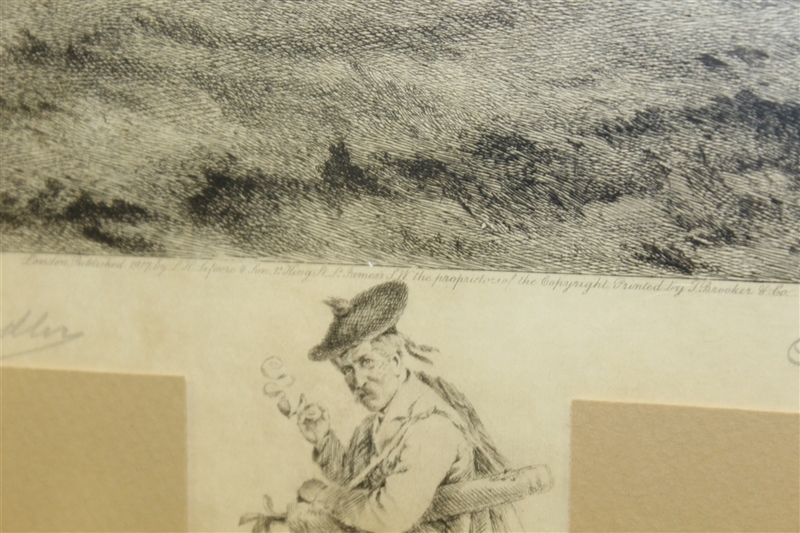 He lent his social observations by painting the seemingly ordinary, like the home, garden, the Inn, and of course, the golf course. 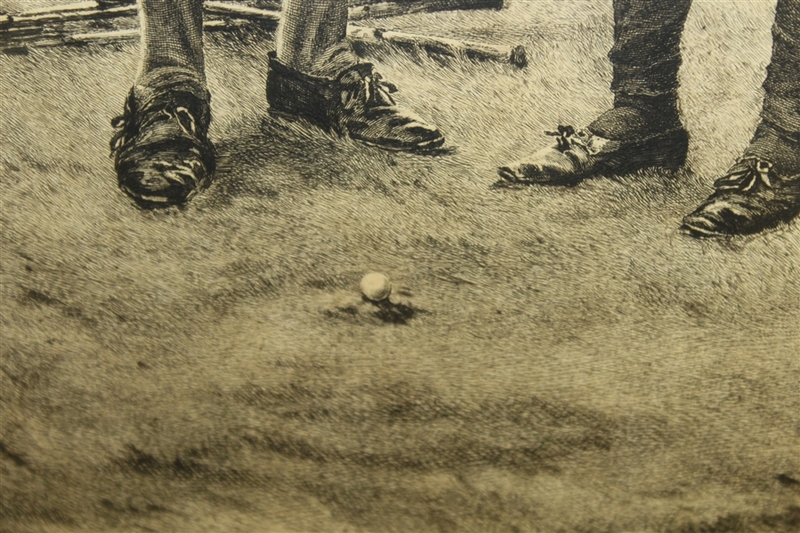 Here Sadler depicts the use of the first golf tee, shown here as molded sand. 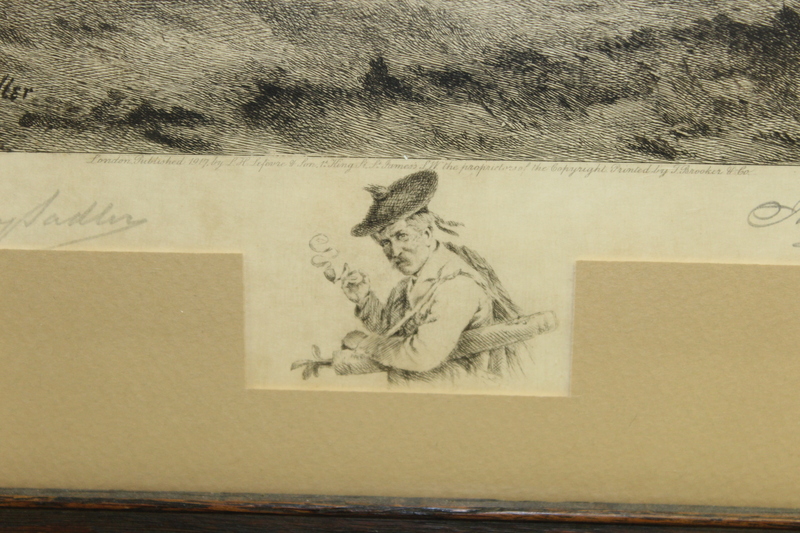 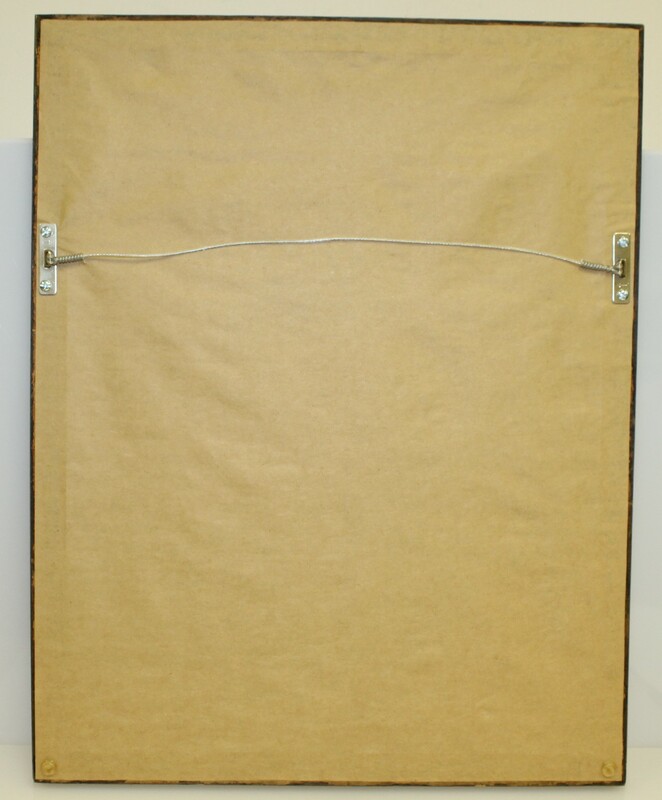 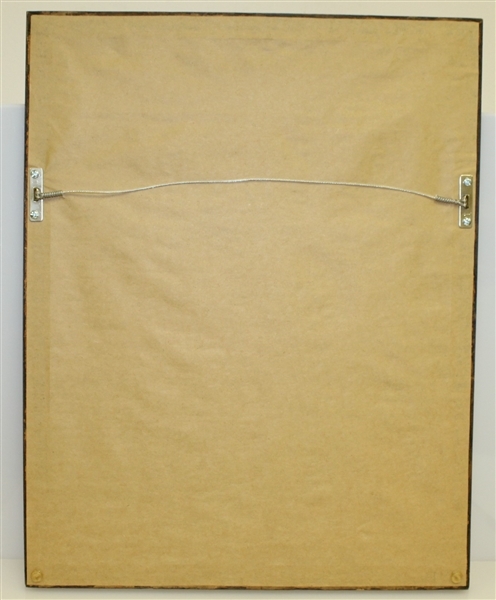 The piece measures 22" x 17 1/2".